"It's amazing that the process works at all." The success of cloning mammals through laboratory procedures has been bleak. Less than 10 percent of cloned mammal embryos make it to birth, with most attempts ending in embryonic death, defective placenta, or implantation failure. 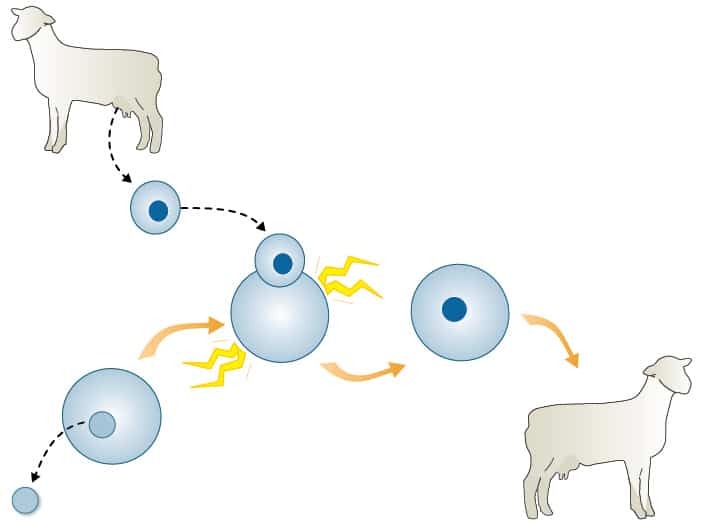 For 12 years, University of California Davis professor Harris Lewin led a collaboration between US experts in functional genomics with French cloning and reproductive biology experts to study gene expression in cloned cows using RNA sequencing. The research scrutinized the molecular mechanisms involved to pinpoint what goes wrong in these procedures, and in what stages they happen. “A major unresolved issue in the cloning of mammals by somatic cell nuclear transfer (SCNT) is the mechanism by which the process fails after embryos are transferred to the uterus of recipients before or during the implantation window,” the study notes. They found that by day 18, anomalies in over 5,000 differentially expressed genes (DEGs) in the extra-embryonic tissue of cloned cows were responsible for the high death rate, along with hormonal signaling between the embryo and the surrogate. Somatic cell nuclear transfer (SCNT). University of Utah. By day 34, however, the surviving clone embryos were able to implant in the uterus and start forming placenta, much like cow embryos formed through artificial insemination, supporting their finding that the critical stage is in the pre-implantation phase. “Our data confirm that the interactions between the uterus and the extra-embryonic tissues is critical during implantation, making this step a major hurdle for the progression of pregnancy,” said Olivier Sandra, team leader for the French team. In 1996, a cow named Dolly was successfully cloned at the Roslin Institute in Scotland. However, the success in cloning Dolly was not achieved without “throwing away” a lot of embryos in the process. “Of 277 attempts, only one produced an embryo that was carried to term in a surrogate mother,” according to the University of Utah’s Genetic Science Learning Center. This high failure rate in cows implies the same thing would happen had we done the experiment on human embryos. In terms of the legalities on human cloning, the United Nations General Assembly banned all forms of human cloning in 2005, including both reproductive and therapeutic. With this in mind, it seems that we will have time to continue debating the legal and ethical issues surrounding cloning, as it will likely take many decades of research before scientists are able to perfect the process.